I am a bit behind my posts, as I have been working on the re-designing of the blog look and almost there! You may have noticed already the change of it and would appreciate your feedback to it! I am loving it so far, as it is much clearer, neat and nicely visible categorised in section for your ease of navigation! Hope you will like it. 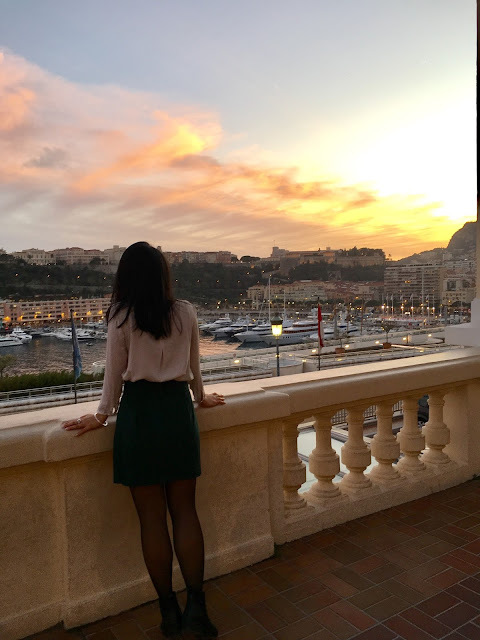 As we stepped into another month of 2018, my first trip this year was to France and Monaco couple weeks ago. Preparing Nice guide for you as well as a video! All out this week! Follow and subscribe to not miss my insights! 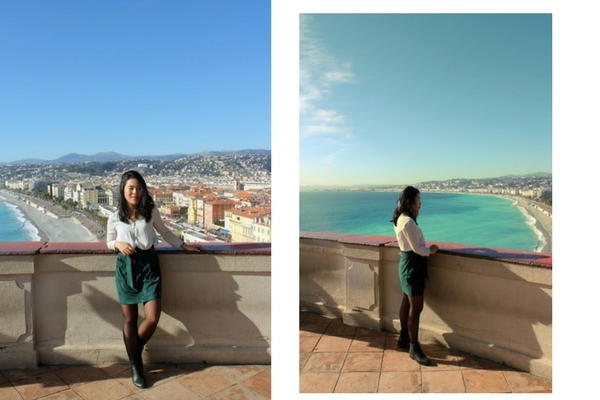 The weather was so beautiful in South of France that it allowed me to wear out my skirts and dresses again! The sunshine and the sea breeze made me soul, mind and body so happy! It is just incredible how small things in life can change your perception, can fuel you up and can kick you well in the new beginning! Wearing my suede green skirt from Bershka that I got in sales hunting, white blouse with a zip from Stradivarius and New Look ankle boots. Loving this shade of green this season! And what is your favourite colour for spring now? Scroll down to shop similar items from my look! Also, have you noticed that now on the right hand side you have a condense grid of my shoppable outfits! Happy shopping!